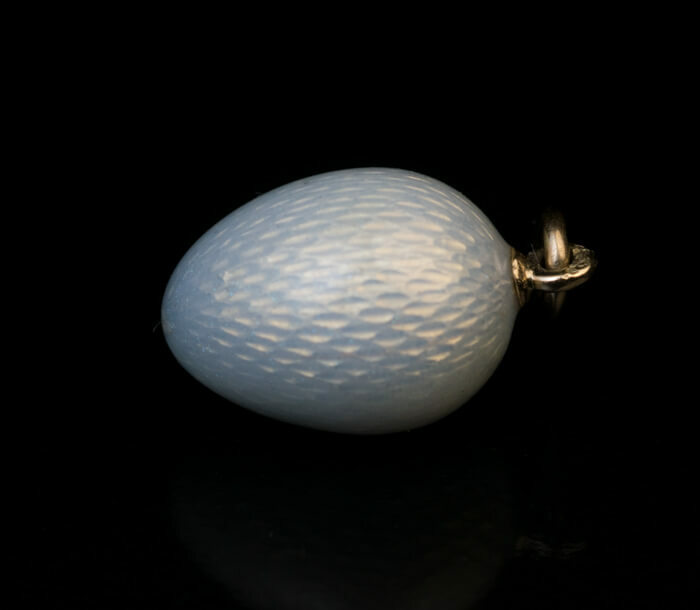 This rare original antique Faberge egg pendant was made in St Petersburg in 1902-1903. 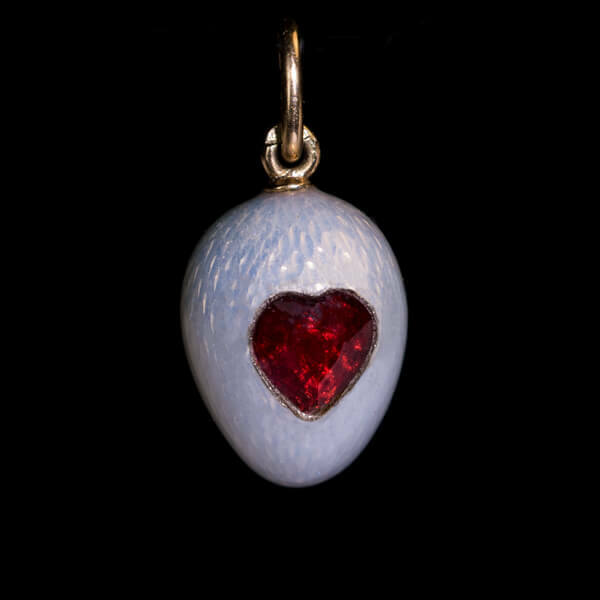 The egg is covered with a superb pearl white guilloche enamel and is embellished with a heart-shaped synthetic ruby set in a silver bezel. 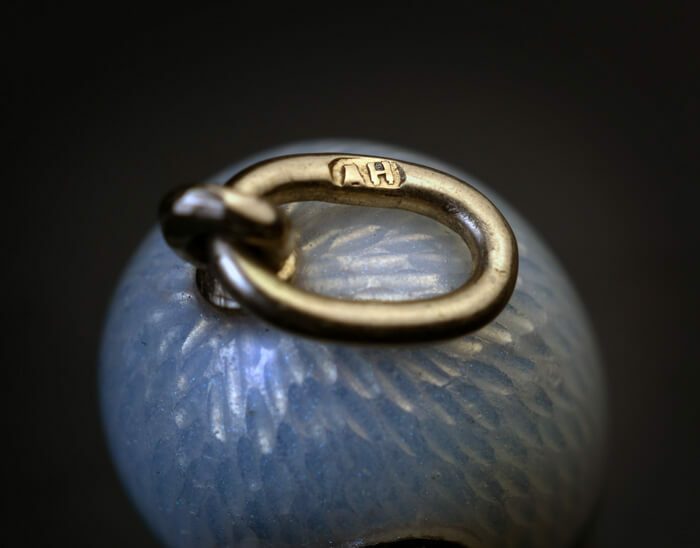 Synthetic rubies first appeared on the market in 1902. 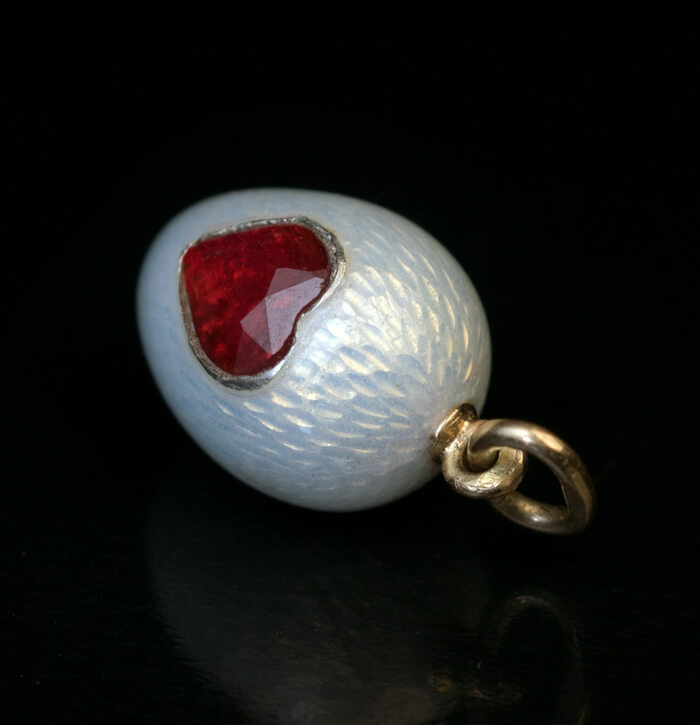 At that time, synthetic rubies were a rare and exotic gem. 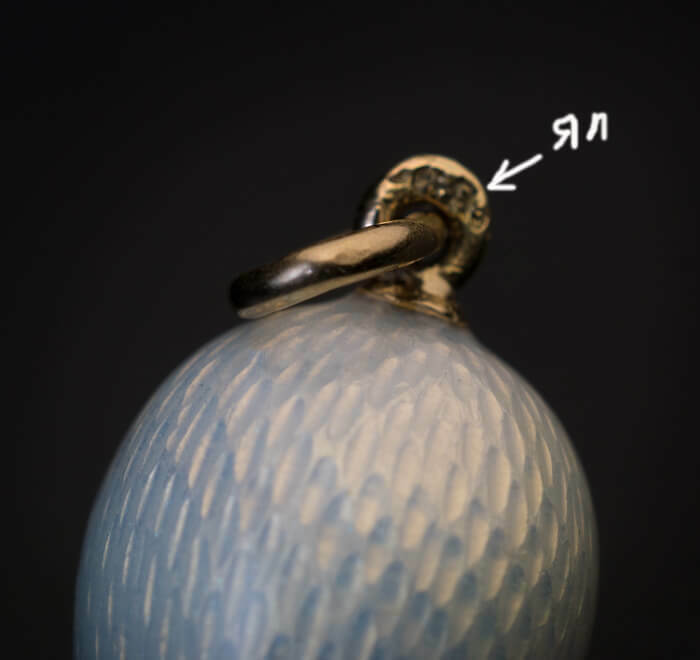 The egg is marked on gold bail with initials ‘AH’ for Feberge’s jeweler August Holmstrom and 56 zolotnik gold assay mark with initials ‘ЯЛ’ for assay master Yakov Liapunov (Head of St. Petersburg assay office between 1899 and 1904).